Revised requirements will go into effect for both the Scout Leader’s Training Award and the Scouter’s Key Award on January 1, 2013. If you’ve already started working on these, I’m pretty sure you can still earn them after this date under the previous requirements (as is the case with me). However, you will definitely need to follow the new standards for each of these awards if you begin the work after December 31st. 1. Complete Boy Scout Fast Start training No equivalent? Is the online Fast Start orientation training no longer necessary? 2. Complete New Leader Essentials 1. Complete This Is Scouting training (online) Is this the same material, just under a different title? 3. Complete Leader Specific Training for your position 2. Complete Basic Training for any Boy Scout leader position Is Basic Training and Leader-specific now one in the same? 4. Complete Introduction to Outdoor Leader Skills (for Scoutmasters and assistants) No equivalent? Although it no longer appears to be a specified requirement for this award, Intro to Outdoor Leader Skills is now a Silver level goal for JTE under the Trained Leadership objective. 5. Complete Youth Protection Training No equivalent? I’m guessing YPT is now required much earlier in the process of allowing someone to hold an adult position in Scouting…and if that’s the reason, I can see why it was removed as a requirement on an optional adult award. 3. Attend a university of Scouting (or equivalent), or attend at least four roundtables (or equivalent) during each year of the tenure used for this award. Why has this become a requirement of “this OR that” instead of “this AND that”?? 1. Participate in a support role for five overnight campouts. 1. Serve as an adult leader in a Troop that achieves at least the Bronze level of JTE in each year. Bronze JTE for 2012 requires only four short-term overnight campouts. 3. Participate actively in three Troop Parent’s Night or Courts of Honor. Refer to #1 above Bronze JTE for 2012 requires a Court of Honor or Parents Meeting only twice a year. 4. Help organize or reorganize a Boy Scout troop. Refer to #1 above Bronze JTE for 2012 requires the troop to be trained using ILST (formerly known as TLT), which does teach about roles and responsibilities within a troop. 5. Help supervise or support a troop money-earning project. No equivalent Although there is a Budget goal in JTE, there is nothing specific to fundraising. No equivalent 2. Participate in an annual troop planning meeting in each year. Annual planning goals are met by hitting the Silver level within the Patrol Method objective. 6. Participate in a supplemental training course at either the council or national level. 3. Participate in at least one additional supplemental or advanced training event at the council, area, region or national level during the two years. I’d say these are equivalent. 7. Serve on staff of a council or district training event. No equivalent Did the bar get lowered here?? Being on staff for training is very different than only being a participant. 8. Serve as a merit badge counselor for at least 5 Scouts. No equivalent Maybe this got removed because it was an easy one to accomplish as a Scoutmaster. Although Wood Badge could be chosen as the supplemental/advanced training event, I liked how Wood Badge attendance was specifically called out before! 11. Assist actively with a Webelos den for 6 months. Refer to #1 above Bronze JTE for 2012 has a Webelos-to-Scout Transition objective that requires two joint activities. 12. Participate in six Boy Scout leader roundtables. See Training requirements above The bar may have fallen slightly here too… the new training requirements have more “this OR that” expectations rather than “this AND that”…and the number of roundtables you’d need to attend (IF you even choose that route) dropped from 6 to 4. No equivalent 4. Give primary leadership in meeting at least one troop JTE objective in each year. I wish this was more specific. 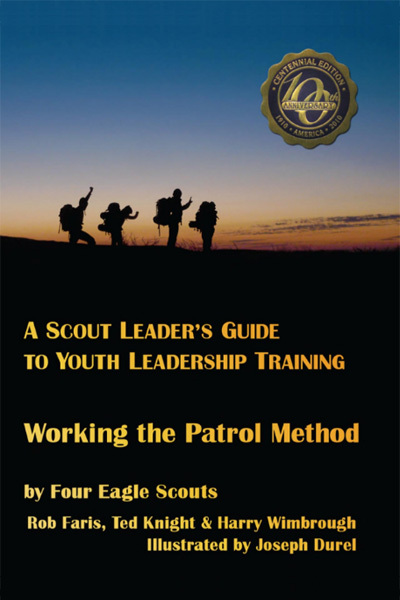 As a Scoutmaster (or ASM), aren’t we already primary leader’s in helping the boys achieve even the Bronze level of JTE? Who else would be facilitating this across a 2-year period?? Here’s a look at what’s changed with the Scouter’s Key Award. This entry was posted in Awards, Training and tagged adult square knot awards, adult training, scout leaders, scouter's key, scouting, scoutmaster. Bookmark the permalink.